ACE is the major coordinating body for the nation’s colleges and universities. We represent nearly 1,800 college and university presidents and the executives at related associations, and are the only major higher education association to represent all types of U.S. accredited, degree-granting institutions: two-year and four-year, public and private. Our strength lies in our loyal and diverse base of member institutions, 75 percent of which have been with ACE for over 10 years. That loyalty stands as a testament to the value derived from membership. We convene representatives from all sectors to collectively tackle the toughest higher education challenges, with a focus on improving access and preparing every student to succeed. Ideas for Action is a corporate member of ACE. 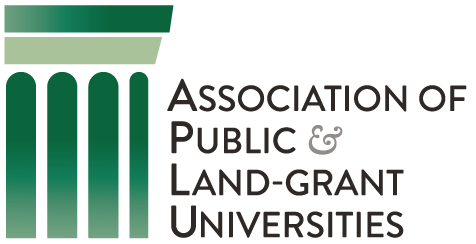 With a membership of 237 public research universities, land-grant institutions, state university systems, and affiliated organizations, APLU’s agenda is built on the three pillars of increasing degree completion and academic success, advancing scientific research, and expanding engagement. The association’s work is furthered by an active and effective advocacy arm that works with Congress and the administration as well as the media to advance federal policies that strengthen public universities and benefit the students they serve. Visit their website at Aplu.org. Spelman Johnson is a specialized executive search and consulting firm with a proven history of filling leadership positions within higher education. Since 1991, over 1,200 institutions have relied upon Spelman Johnson for search assistance to fill critical positions. Spelman Johnson and Ideas for Action (IFA) have worked in tandem as firms who assist in executive search, leadership development, executive coaching initiatives and strategic planning. This partnership between IFA and Spelman Johnson allows colleges and universities a full complement of search and consulting services as they seek their most promising new leaders and programs. For more information about Spelman Johnson, please visit www.spelmanjohnson.com. Allenvision Inc. is a Canadian-based consultancy supporting executives and individuals in for-profit and non-profit organizations through strategic insights, advanced analytics, and processes for evidence-based decision making. It provides strategic insights to help you make the right set integrated set of choices that uniquely positions a firm in its industry to create sustainable advantage and superior value relative to the competition. Learn more about Allenvision here. Nelson Strategic Consulting (NSC) works with trade associations, professional societies, philanthropic organizations, NGOs, and intergovernmental organizations to design high performance governance systems, strengthen board performance, develop strategy and craft strategic solutions to challenges. Studio Two is a multi-disciplinary design, development and branding agency with a focus on long-term collaboration, ROI, and comprehensive marketing services. Mekanic Brands has extensive experience in organizational culture, online communities, program development and volunteer activation – we focus on people as the lifeblood of a brand and enhance areas where they gain the most meaning. The mission of the site is to contribute to the development of the field of team coaching in companies and organizations. Through the creation of content such as podcasts, blogs, webinars, resources, and discussion boards, The Team Coaching Zone seeks to support new and experienced team coaches to take their coaching practices to the next level. Spark Strategy is a boutique leadership development firm focused on working end to end with clients to develop and deliver high impact management and leadership development solutions. Cygnet Strategy, LLC specializes in large-scale transformational approaches to leadership, governance, strategy, and structure, with a particular focus on not for profit organizations. Reveln is a change and performance strategy consulting firm specializing in higher education leadership, team coaching and social media and non profit association planning.